Determining how to protect yourself from contractor fraud presents a challenge to most home owners. After all, all you want is to have your home improvement job completed correctly within the contracted price. This can be frustrating. Sometimes fraudulent contractors try to come up with ways to milk unsuspecting clients of more money, and they might “repair stack.” Repair stack is a term used most often in video gaming, but it refers to the idea that the contractor will spin a story about completing more repairs by doing more at once which requires more funds. But, the contractor knows the repair stacking won’t occur and that it’s only a ruse to steal more money from the home owner. The first step to recognizing contractor fraud is understanding the different types of fraud that can occur. Protect yourself from contractor fraud by following the below tips and tricks. If someone comes to your front door and wants to do work on your home, research their company before accepting their services. Check their story if they say that they worked for a neighbor. When a contractor tries to pull any of the above moves on you, walk away from that business relationship. You don’t want to work with a contractor who makes a practice of fraud. Let’s look into more details of contractor fraud. Stan negotiates a home repair with an independent contractor. After discussing the repairs, the contractor informs Stan that he’ll need half of the agreed upon price upfront. The contractor explains that the money will buy the material and rent necessary equipment. Stan isn’t sure what to do, but the contractor is pressuring him for the money. The Home Improvement Consumer Protection Act (HICPA) provides home owners with certain protections from contractor fraud. This law outlines many variables of the home improvement process, including that contractors should never demand an exorbitant amount of the payment upfront. For example, HICPA deems advance payment over $2,000 as a third-degree felony. A contractor should only request a certain small percentage of the payment upfront. Eliza spoke with an independent contractor about her home improvement job. The contractor suggested a bunch of extra details, and Eliza loved the clear communication. But when she signed the contract, she noticed that some of these extra details weren’t in the paperwork. The contractor assured her not to worry. Always get it in writing. Although there are allowances for verbal and implied contracts, it can be difficult for the law to offer viable solutions for fighting back against contractor fraud and a breach in a verbal contract. You may be able to build a case if you have emails, text messages, or a witness. Emory’s independent contractor told him that he didn’t really need a building permit for such a small job. They signed the contract and began work. But then, the work was not completed. When Emory sought legal aid, he discovered that it was illegal to begin building without a building permit. Small or big, home improvement jobs require a building permit. Sometimes a contractor might try to get you to apply for a homeowner’s permit, which is for a do-it-yourself job. But this means that the homeowner must lie on the application and the homeowner is responsible to the inspector. Building permits are legally required. Kate was thrilled to find a contractor with a super low quote for her home improvement project. Near completion of the project, the contractor came to Kate and told her that structural damage occurred and the work to correct it would be the same amount Kate had already paid. Kate had no reason not to believe her contractor, but she was suspicious. Seeking a second opinion is always appropriate. The state government often has a service that will come and inspect your home. You can also ask another contractor to give you another opinion on the damage and cost to repair. This will help protect you from a fraudulent contractor. If you do decide to move forward with the work, be sure to have a change order drawn up. A change order is a mini contract that outlines the work to be done in addition to the original contract. Tony was working out in the yard when a truck pulled up and asked if he wanted to buy some cheap materials for home improvement. The contractor was friendly and seemed trustworthy. Tony took him up on the offer, but soon after having the work done, Tony realized the materials had not been sound. Don’t spontaneously hire someone to do any home improvement or repair for you. Check their references and research their work online. This can save you the hassle of poorly completed work as well as trying to recover damages if contractor fraud occurs. 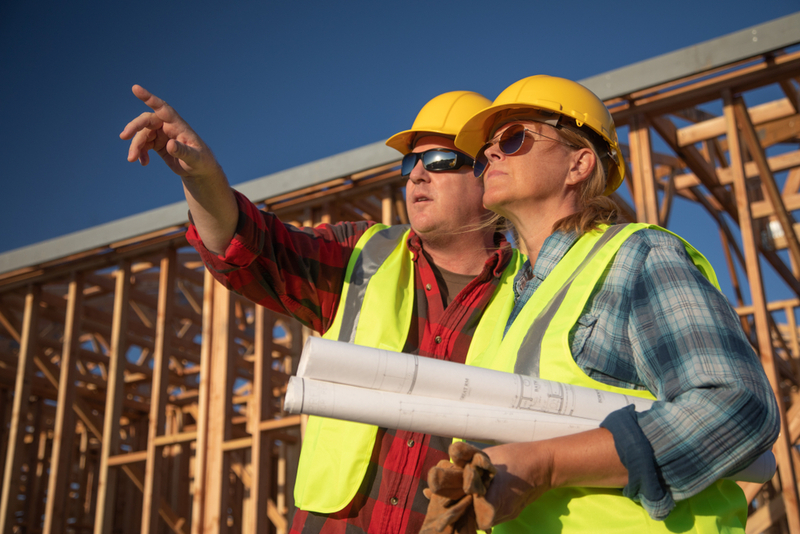 Protect yourself from contractor fraud from the beginning. Never hire an independent contractor without a lot of research. If you end up dealing with contractor fraud, reach out to an experienced lawyer to find out your legal options.